Board games are great, but if you’re as addicted to them as I am, you don’t always have enough people around when you want to play (which is all the time). 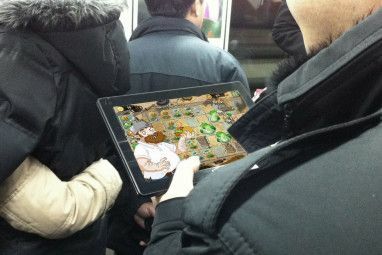 Fortunately, there’s a very easy solution to that problem: play board games online! These five online board gaming sites will help you find an opponent in no time and get started, no matter what kind of game you want to play or how long you want to take to play it. And they won’t cost you a dime. I discovered BoardGameArena on BoardGameGeek, one of the best online hangouts for gamers Three Great Resources For Board Game Geeks Three Great Resources For Board Game Geeks We're no longer in a world where a basic board game collection consists of Monopoly, Clue and The Game Of Life (and maybe Risk if you're lucky). No, these days collections often have more of... Read More , and I spend entirely too much time there. With over 80 games, and more being added all the time, BoardGameArena is a popular destination for playing free board games online (they’ve also hinted that they’ll soon be adding Boss Monster, a great video-game-themed card game 9 Awesome Board Games Based on Video Games 9 Awesome Board Games Based on Video Games Board games based on video games might seem like a strange concept, but it can work really well. Grab one of these games, and you'll be hooked! Read More that I highly recommend). The games on BoardGameArena represent a huge variety in genres, from the simple classics like Yahtzee, backgammon, and chess to more complicated modern games like Race for the Galaxy (my personal favorite, seen below), Stone Age, Puerto Rico, Lost Cities, Seasons, and more. There are links to rules and videos for every game, so you can prepare yourself before you play for the first time. BoardGameArena’s interface is easy to use and presents a lot of information in a compact space, including things that are relevant to the game, turn timers, and ELO ratings. You also get a running report of what you and your opponent have done (which is nice, because it’s often hard to see what your opponent is doing when you play board games online). You can chat with your opponents as well, though if you want audio or video you’ll need to make a small donation for a membership. Becoming a member also lets you see the ELO stats of every player and additional statistics for every game. If you decide to play on BGA, feel free to challenge me to a game! My username is dralbright. With almost 50 games, BrettSpielWelt doesn’t have the variety of BoardGameArena, but it still provides a lot of options. Some of the more popular options on BSW include Carcassonne (with a few expansions), 7 Wonders, Puerto Rico, and Stone Age. You’ll need an updated version of Java to play on BSW, which may be off-putting Think Flash Is the Only Insecure Plugin? Think Again Think Flash Is the Only Insecure Plugin? Think Again Flash isn't the only browser plugin that presents a risk to your online privacy and security. Here are three more plugins that you probably have installed in your browser, but should uninstall today. Read More to some security-conscious users, but you can also download client software to play outside of your browser (I used this, as I couldn’t get the Java-based applet to work properly). The client looks rather dated, but it works! You can play on BrettSpielWelt without registering, which means you can get in on games really quickly without even having to confirm your email address. It lacks polish, but if you’re looking for a place to play board games online, BSW is a solid contender. One thing to note: although BrettSpielWelt is available in a number of languages, it’s primarily a German site, and some things don’t appear to have been translated, so you may have to make a few educated guesses as to where some links will take you. Although it places a stronger emphasis on turn-based play than other sites do, Yucata works well for both turn-based and real-time board games. Unfortunately, it doesn’t have a timer when you’re playing real-time, so games can turn into very long affairs if you’re playing against someone who’s playing a lot of games at once or just decides to leave. Even so, Yucata offers a good selection of games, including Carcassonne, Dragonheart, Jaipur, Roll Through the Ages, Stone Age, and The Castles of Burgundy. And you can play all of them for free, without even registering. The game-finding interface at Yucata isn’t great, but the play interface is nice-looking and responsive. It doesn’t provide as much assistance as some of the other options (for example, BoardGameArena tells you what every card in Dragonheart does, but Yucata doesn’t give you any help), but it still works fine. As you can see above, however, it does have the annoying habit of popping up a notification and blanking out the screen when your opponent’s done with their turn instead of showing any kind of animation. That means you have to be paying pretty close attention to know what your opponent did on their turn. Primarily a French site, Boîte à Jeux has been translated into English and German as well. It doesn’t have quite as many big-name games as other options, but there are quite a few games that might be appealing, like Agricola, Alhambra, Tzolk’in, Dixit, and Nations: The Dice Game. Like Yucata, Boîte à Jeux is a good place to play extended turn-based strategy games 5 Popular Free Turn-Based Strategy Games 5 Popular Free Turn-Based Strategy Games The turn-based strategy genre has always been a niche, lacking the popularity of even real-time strategy, never mind first person shooters. Unfortunately, being niche means there are fewer free games to choose from, but some... Read More ; but unlike Yucata, it doesn’t also encourage real-time games. You can set a turn timer, but the lowest value that you can select is 12 hours, meaning these are intended to be long-term games. The play interface on Boîte à Jeux is nice, and gives you tool tips, which is really helpful when you’re learning a new game. Boîte à Jeux is free to use, but you can also sign up for a premium account that helps support the site and unlocks a few extra features, like being able to open games and reserve spots for friends. Another turn-based site, Your Turn My Turn lets you set turn time limits of one day and longer. 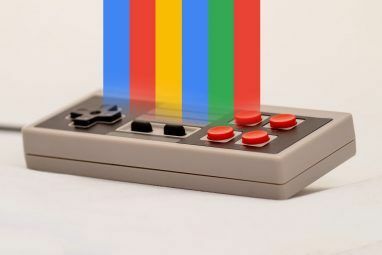 There are a lot of classic games you can play, including chess, checkers, Connect Four, Battleship, Go, Reversi, and other games in this vein. There are fewer Euro-style and modern games, but Carcassonne and Lost Cities are both available. YTMT doesn’t have as big of a play community as other sites (there were only seven games in the waiting room when I signed on today), but if you’re looking for extended turn-based games, and you like the selection available there, it can be a good place to check out. Especially because it’s free, and you don’t have anything to lose! I wasn’t able to get a game fired up to take screenshots of the play interface, but you can see what the online chess The Best Online Sources To Play & Learn Chess The Best Online Sources To Play & Learn Chess I love playing chess and collecting chessboards and like everything else, my enjoyment of the game has moved online. Read More interface looks like in the video above. Where Do You Play Board Games Online? 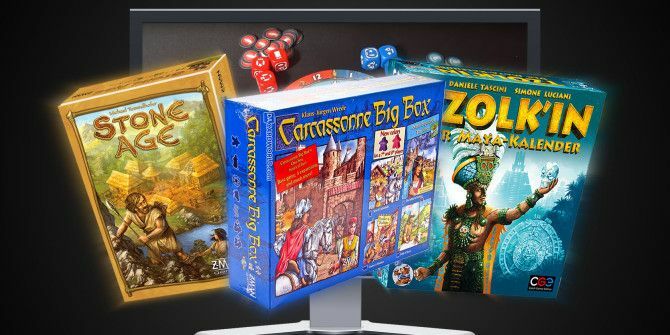 Of all of these sites, I most strongly recommend BoardGameArena due to the wide selection of games available and the very polished and helpful interface. If you have the patience to get BrettSpielWelt working, it’s also a great option. The others are best if they have a specific game that you’re looking for. In addition to these sites, there are plenty others out there—where do you play board games online when you play? 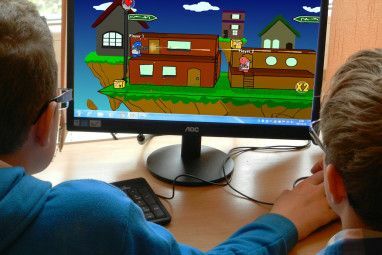 Or do you prefer to buy your games Buy Your Board Games Online From These Sites Buy Your Board Games Online From These Sites Online, you'll find some great stores for buying board games of all kinds, so if you're looking to break away from the console or PC, this is the place to start. Read More and play them in person? Or even print them out for free 5 Awesome Free Printable Board Games 5 Awesome Free Printable Board Games If you're on the lookout for a new geeky craft for yourself or the kids you've probably considered making your own board games as an idea. But you probably didn't realise that you can do... Read More ? Share your favorite ways to play in the comments below! Explore more about: Board Game, Online Games. You _must_ visit boardspace.net . It has a large selection of games, including some you won't find elsewhere. Tilts towards abstract strategy, a.k.a. combinatorial. It has AI for most (or all?) of the games. Unfortunately, it only uses a Java based interface. Interface is highly functional and visually appealing; however, you must download / set up outside of browser. Human competition is sometimes scarce -- and it's set for live games not turn based. In spite of those problems, I promise it's a unique gaming experience! tabletopia.com provides exciting experience. Why you did't mention them? Good list! Thanks for sharing. You write good articles, I learnt of some pretty awesome games (like Neptune's Pride fx) I wouldn't have known otherwise. Specifically though, I am looking for a place to play "Eldritch Horror" on-line, but I haven't found it anywhere yet. I bet you could play Eldritch Horror with one of the user-created mods on Tabletop Simulator. That's my best guess! And wat about Tabletopia? It's the newest board gaming platform with free basic access and lots of licensed games. I love Tabletopia! If you're willing to pay, I recommend it. I think there are some free games, but it's best experienced as a member. Happy Meeple has a good real time version of Lost Cities. Great! I've been meaning to try that one for a while. I'm hoping Happy Meeple expands their selection in the near future. It looks like a good platform, just hasn't really caught on yet. All our games come with Artificial Intelligence and tutorials in 4 languages. We are completely unique at that. It makes us the only platform targeted to beginners. Could we choose to play with just our friends? not random stranger? At least most of the sites offer the ability to invite specific players (I know that BGA does), so you could set up a private game to play with your friends. yup, just found it last week. thanks! It doesn't look like there are a whole lot of board games there; what do you play? Steam's Tabletop Simulator game is another way - but it requires purchases on all sides to play, and for everyone to network via Steam. Yeah, I've heard of that, but I'm not much of a Steam game buyer. It does seem like a good idea, though, if everyone's on Steam! I play backgammon at flyordie.com. There are a lot of another board games like chess, checkers, go etc. You know, I've been meaning to play backgammon again. I played it years ago and loved it, and haven't played since. Maybe I'll try flyordie!